Or if you happen to transit through Dubai with some other airlines, walk over to Emirates’ new terminal, which has free wifi, choice of coffee places, bunch of Duty Free shops and this Oasis! 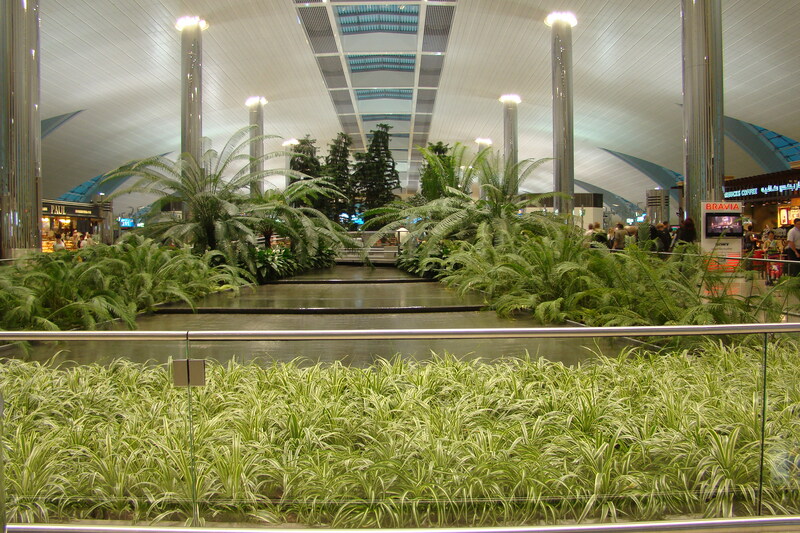 Bring the green inside airports, isn't it a great idea? 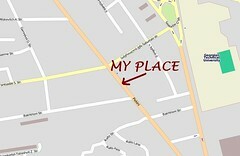 It is actually one of those airports where I managed to spend about 8 hours and didn’t die of boredom. 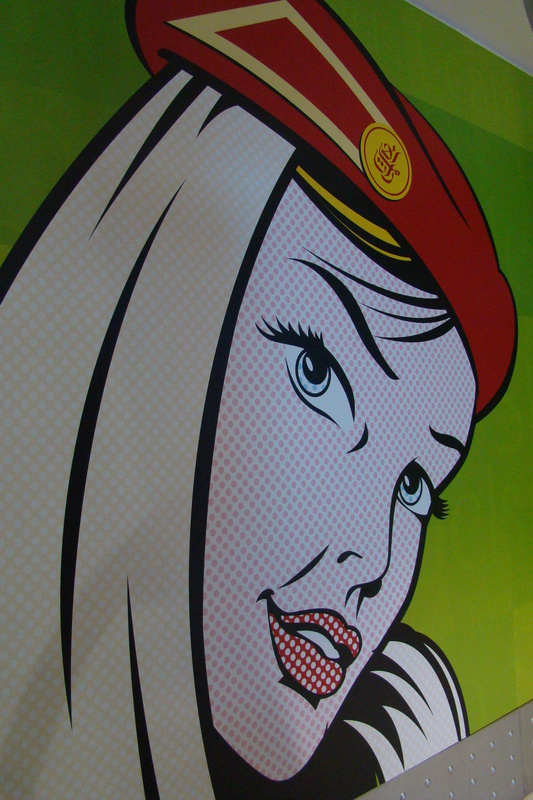 Here’s one of the details that cheered me up – à la Roy Lichtenstein advertising of Emirates airlines. As you can see I’m having fun in the airport, but in couple hours I will finally fly Emirates to Nairobi, so don’t take the headline of this post as a call, because, you should understand, being exposed to advertising for the whole night does convince people in the ad.